Hi readers, welcome to Monday morning. And when it’s Monday that means The Absolute Beginner’s Guide. 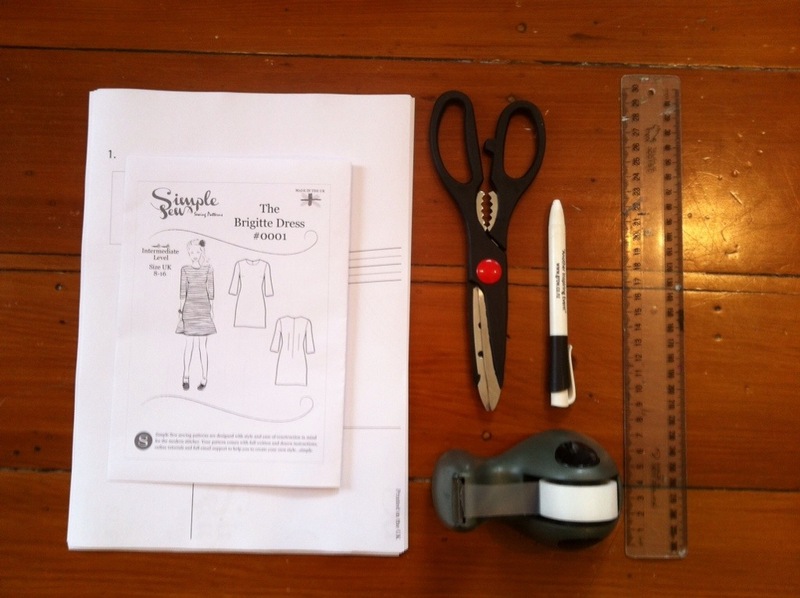 So today we’re talking about PDF sewing patterns – what are they? 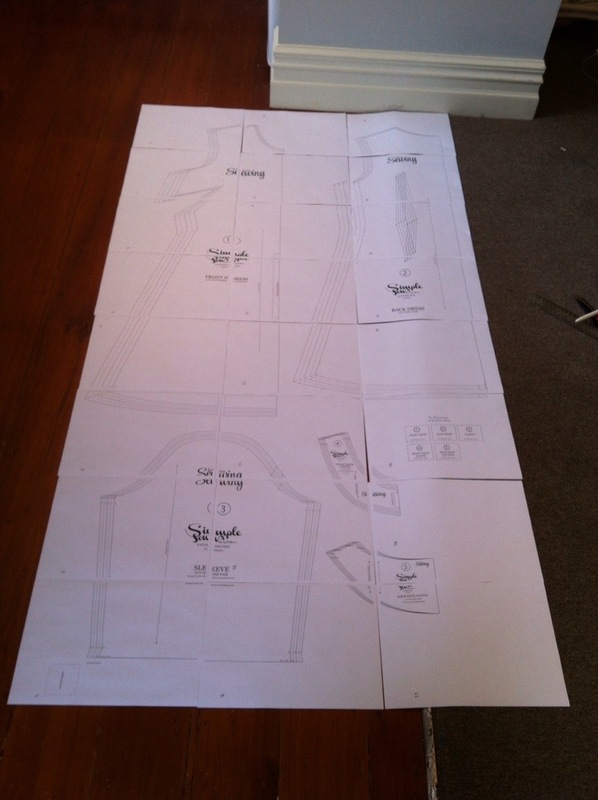 Are they better than an average sewing pattern? How are they assembled? For today’s example we’ll be talking about Simple Sews free Brigitte Dress pattern which I’m actually sewing right now – perfect right? PDF patterns are sewing patterns that you can download from the interwebs, print out at home (or work *wink wink*) and cellotape together. The Big Four offer all their patterns in PDF or solid-printed-in-an-envelope-form. Many indie companies such as Pattern Runway, Victory Patterns, Sinbad and Sailor, Cake Patterns, Simple Sews also offer their patterns in PDF format. Basically, PDF sewing patterns offer an alternative to hard copy patterns for customers because they are nearly always cheaper than the hard copy. So why aren’t all patterns in PDF Format? “Even though it’s relatively cheap and easy, most people don’t want to go to the trouble of printing and assembling their own patterns. It’s a personal preference. The market for PDF patterns is really small compared to the number of people who sew. 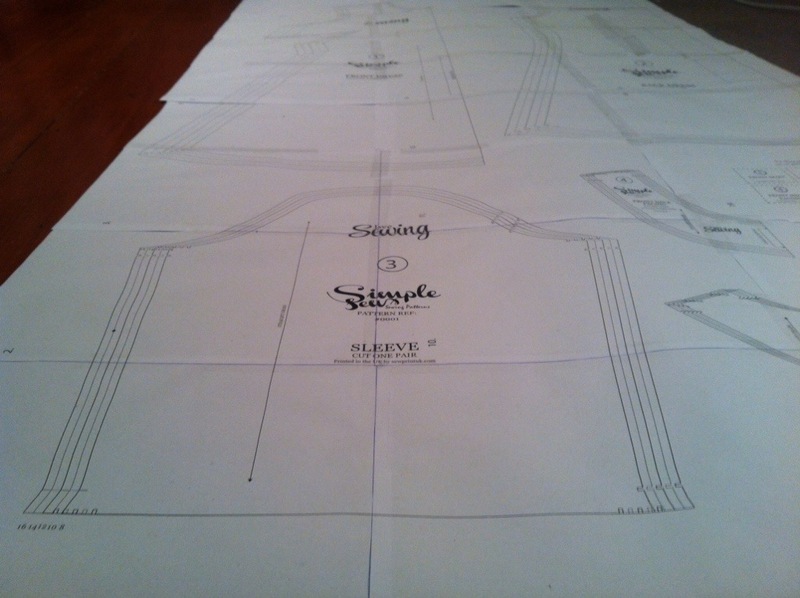 In order for me to be able to make a job out of pattern design, I need to make paper patterns.” Well said Steph. So… Are They Any Good? Good question – I mean if you can just order the solid thing online or buy it in a shop why would you fluff about with assembling PDF patterns? I guess the key benefit of buying PDF patterns is that you never have to leave the house! You can print it straight out at home and you’d never have to worry about the retailer running out of the pattern either. Also, totally beneficial to mistake-makers like myself is that you can reprint your pattern if you cut the pattern in the wrong size. But the best coolest thing about PDF patterns is that many indie pattern brands offer a free pattern in PDF format, such as Colette’s Sorbetto, By Hand London’s Polly, Cake’s T-shirt, Victory’s Tailor’s Ham and of course today’s pattern Simple Sews’ Brigitte Dress. So Let’s Assemble This Pattern! Let’s get this PDF pattern show on the road. 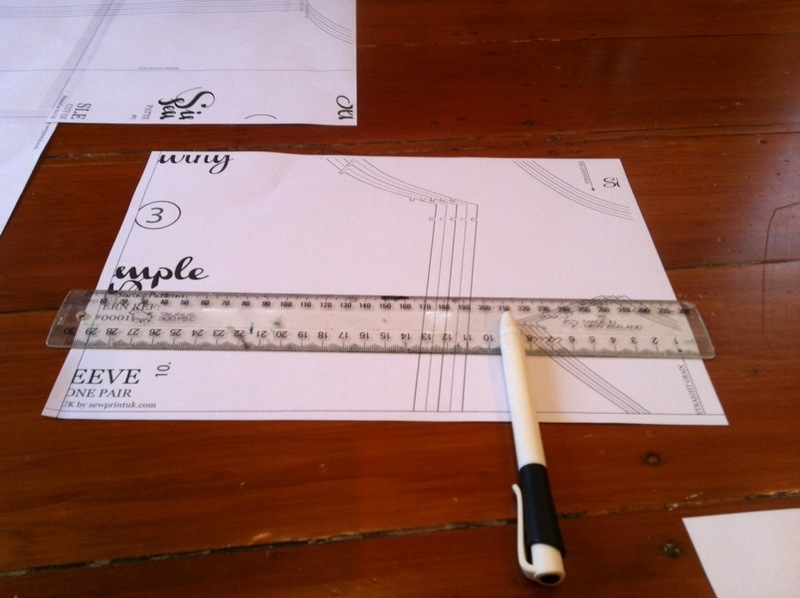 You’ll need everything in the photo above – your whole pattern printed off, cellotape in a despencer, a pen, ruler and some scissors (not your fabric ones, unless you hate them and you want an excuse to buy new ones). 1. Lay out all your A4 sheet, check that all your pages are there. The pages will print out in order and are numbered. 2. Get your ruler and pen. Rule a line at the edge of the printing and cut off this edge. You’ll only need to do this on one side of each two pages that meet (because the other one will be underneith). 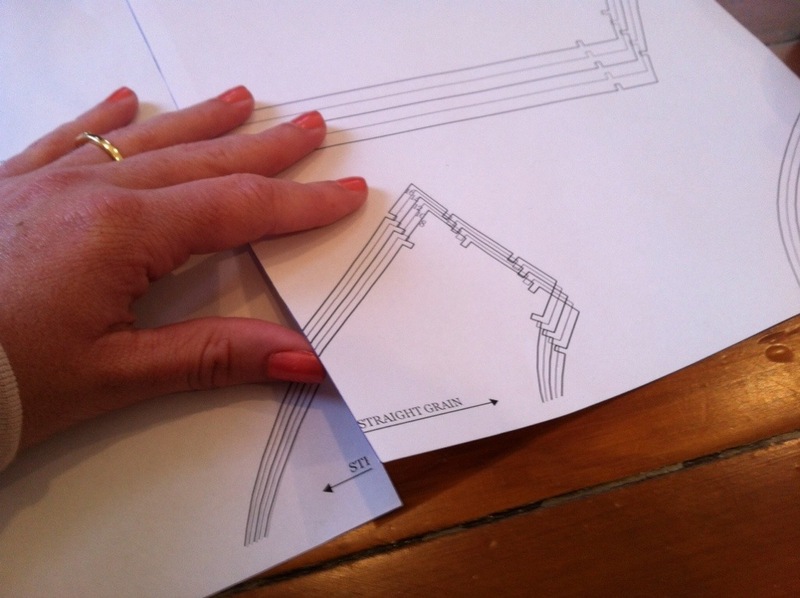 Do you use PDF sewing patterns? What’s your number one tip for using digital patterns? Yes that’s a really good point, thanks for mentioning that! Yay you’re a kiwi? I do love finding kiwi bloggers too 🙂 Funny, I was in London last year, staying in Putney. How good is this free pattern – even I am tempted to print it out! I must admit, I LOVE the idea of PDF patterns, but I’m kind of lazy…plus I hate all the taping….I’m a printed pattern girl all the WAY. But who can say no to a free PDF! I’m looking forward to seeing this frock all sewn up! Yes it is a great pattern right?! I’m nearly finished making mine, will be one blog soon 🙂 I’m not really one for tracing either lol! I love PDF patterns – when I can be bothered to tape them all together lol. I have a stack waiting to be assembled as we speak! 2 of my main tips though are; I save my old rotary blades and then cut through a few sheets at a time to trim the edges AND I tend to stick them together in all the rows and then stick all the rows together. Seems less daunting then somehow! Love this series by the way, even for non beginners! Just a note to check your printer settings! I’ve only ever used Burda PDFs but they come with a test square somewhere in the PDF that should measure exactly 10 cm x 10 cm. Look for that test square and print out just that page to check that your printer is spitting out the pattern at the correct size before you print all the pages. If it’s printing out at the wrong size, check to make sure “Scale to Fit” setting is OFF in the PDF reader print settings. OH YES! That’s a really good point I forgot to mention! Love PDF’s as it can get costly getting patterns sent to New Zealand so I find it to be a great option particularly with Indie patterns! Aw! I’m glad I could help you out 🙂 If you have any questions about sewing let me know and I’ll write piece about it or point you in the right direction!